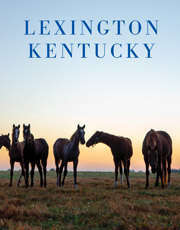 Lexington, Ky. – VisitLEX earned several awards at the Kentucky Travel Industry Association (KTIA) fall conference, which was held October 23-25, in Louisville, Ky. The KTIA Traverse Awards honor the talent, creativity and effectiveness of its members’ marketing and public relations efforts. A panel of unbiased and impartial marketing, public relations and tourism professionals whose work is conducted outside of Kentucky judged the entries.